Welcome to St. Michael Catholic Church and School! 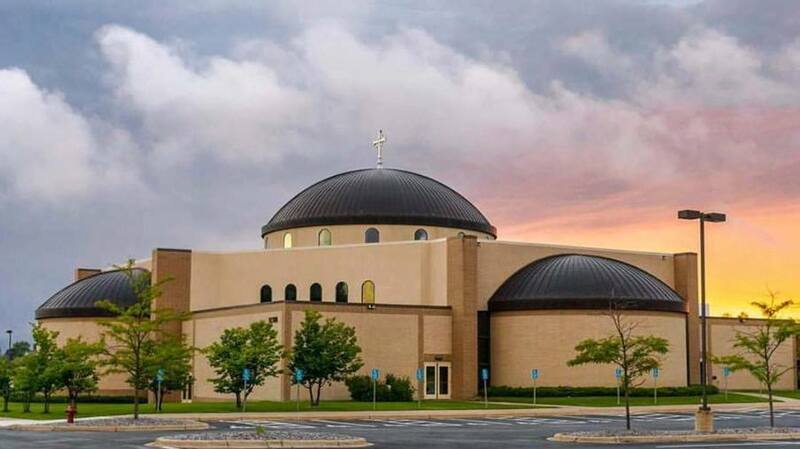 For more than 150 years, our church has served St. Michael, Minnesota, and surrounding communities with an orthodox Catholic faith centered on prayer, service, education, and the liturgical and sacramental life. We strive to be a faith-filled parish family that lives for Christ, serving as His eyes and ears, hands and heart, to our neighbors and all those in need. Glory and praise to You, O Lord. In humble gratitude for the enduring faith of St. Michael Catholic Church, we turn to You for guidance. Grant us the wisdom to comprehend Your mission for us, and the courage to joyfully bring it to completion. Transform our minds by Your truth, our hearts by Your love, and our actions for Your service. Abounding in hope through the power of the Holy Spirit, may we become a people living for Christ. Amen. Whatever has brought you to our parish or our website, we are glad you are here. Join us for a Mass to worship with us, and if you need a spiritual home, please prayerfully consider ours. At St. Michael, out Catholic roots run deep. The historic church on the hill near the intersection of highways 241 and 19 is actually the third St. Michael Catholic Church, and our current church is the fourth. Built in 1856, the original log church predated the city of St. Michael and was the namesake of our community; it was followed by a larger wooden structure in 1866 before the existing historic church was constructed in 1890. Across the street from the historic church, our pre-K through eighth-grade Catholic school continues to thrive, providing an exceptional Catholic academic experience for students and their families. Before the 1960s, no public school existed in St. Michael—today, St. Michael Catholic School is blessed to partner with one of the top public school districts in Minnesota to provide an outstanding education to St. Michael and Albertville youth. We also send students to a number of area Catholic high schools. Although we are a Latin (Roman) Rite Catholic church, the architecture of our current building is in the style common to the Eastern churches, with features and artwork drawn from the East and the West. The nave of the church features beautiful stained glass, mosaics and statuary, as well as Russian Orthodox-style iconography—including one of the largest such icons in the country. In this way we celebrate the union of East and West, which Pope John Paul II called the two lungs of the Church.